Have you ever been to the yearly dance recital of your friends’ 5-year old child? Niece? Neighbor? Grandchild? Not having children myself, I find it a bit challenging going to a 2-hour dance school recital (for kids aged 2-16-ish), and actually loving it. If it were Christmas, you might call me a Bah Humbug. But watching 30 4-5-year olds walk around the stage in tutus, constantly looking at their on-stage teacher for direction, or standing around playing with their tights, well, I just don’t find it very entertaining or necessarily a good use of a family’s hard-earned money. So when I learned that the Ballet West Academy’s Spring 2010 Performance would include their students aged 2-20, my prior recital experience gave me pause. The funny thing about a pause is that it’s ever so brief. Make no mistake about it; the Ballet West Academy Ballet School is not your neighborhood dance school. Need proof? Just have a look at the photos below. Had I never been to a dozen [non-professional] dance school recitals, I’d have nothing to compare this experience to. No one was more surprised than I was to see the talent, dedication, and energy of the dancers at Ballet West Academy. I was beyond impressed. This is the ballet school that I would send my kids to. Academy Director Peter Christie has every reason to be proud! The first dance of the Spring Performance was performed by Ballet West Academy advanced and trainee dancers. It was called Retro Shifts and was choreographed by Caine Keenan. As I sat and watched this intriguing, thoughtful and quietly expressive dance, the word that kept popping into my head was ‘brilliant’. It was the only word. Brilliant. There was such variety to this dance; the lighting, the dancers, the positioning, what the dancers were saying without words. It was simply brilliant. One of my favorite parts of Retro Shifts was near the end when all the dancers were sitting at an angle on the stage, resting on their elbows (I believe) with their legs pointed straight out. It was a picture perfect image! The second dance performed was Fairy Festival (with a little Elfin Mischief!). It included many of the dance classes and the choreography highlighted each of the levels of the dancers. The costumes, made specifically for Fairy Festival, were gorgeous! They were so vibrant and colorful, and the girls looked so charming and sweet. The lighting and the music of Vivaldi completed this bright and heartwarming production. Fairy Festival was fun and lighthearted, and all the dancers, right down to the youngest, were filled with such energy, joy, and life! You could see that each dancer wanted to be there and each was fully committed to their performance! I really loved how each dancer told his or her story, and some of the dancers had a talent I was shocked to see at such a young age. Their smiles showed us all how much they loved what it was that they were doing, and it was really beautiful to see. The first half the Spring Performance program concluded with a dance called Kashira. This dance was choreographed by recently-promoted Ballet West soloist Tom Mattingly, and I absolutely LOVED this piece! Congratulations Tom! Kashira gave me a sense of wild animals in Africa. The male dancers were well advanced and it showed in their physiques and acrobatic abilities. At times I wondered if there were hidden trampolines in the stage floor because the dancers had a great lightness about them as they seemed to fly and pounce throughout. Bruce Fugit’s lighting and the rhythmic music by Kodo perfected this highly-evocative dance. 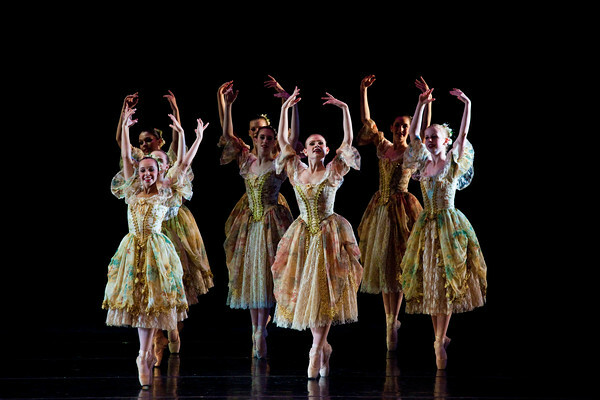 The second half of the Spring Performance was devoted entirely to the Sleeping Beauty Suite. With music by Tchaikovsky, gorgeous costumes, and the talent of these advanced dancers I may as well have been watching a professional stage production of Sleeping Beauty. There was nothing about this production that said that these dancers were students. It was a wonderful production and it was clear how much dedication and commitment the dancers and staff put in to present this ballet. The Sleeping Beauty Suite was regal, and who can argue with fairies, a princess and her true love? My favorite costumes were those of the fairies. The colors just popped! And my, as well as the audience’s, favorite dancers were the Bluebirds; for some reason they enchanted us the most! 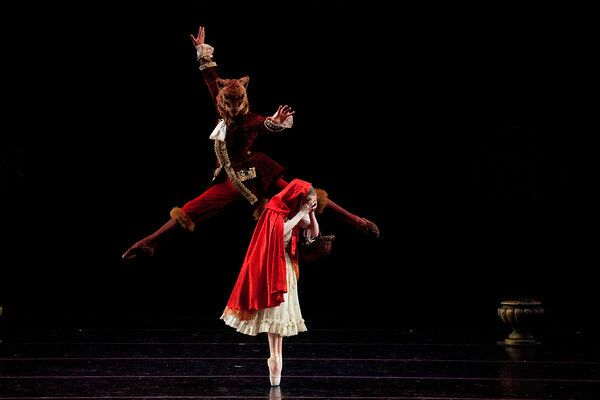 The ballet also included Puss ‘N’ Boots and a flirtatious White Cat, as well as Red Riding Hood and a Wolf. The Fairies each had solo dances, and Princess Aurora and her Prince took their place in fairy tale history. One thing that I learned while watching the Prince and Princess was how much the female dancer relies on her male partner to assist her. Watching the pair dance, it sure seems natural and easy as the ballerina twirls on her toes. But during one of her ‘twirls’, her partner – how can I best describe this – didn’t appear to have her fully in his grasp. As she came out of her twirl, he didn’t have her waist properly aligned and she leaned a bit to the side. I only bring this up because it offered me insight into the strength, timing and accuracy required for partnerships between dancers. As I said, it sure looks easy! Our Princess Aurora didn’t falter one bit though. She kept her poise and her smile in tact as though nothing was amiss, and perhaps to her, maybe nothing was. But I did breathe a sigh of relief as she was quickly righted back into place standing tall. The Ballet West Academy, its administration and staff have to be commended on their hard work. The relationships they have formed with each other and their dancers shows in the quality of their performances and productions. I wouldn’t hesitate to enroll my own child in this ballet school, and I certainly look forward to seeing the Academy’s performance next year. They truly are all professionals! If this is the rich crop of talent that Ballet West Academy produces each year, then may its garden grow! Many thanks to the Ballet West Academy and Luke Isley for the use of his photos! “The Ballet West Academy, the official school of Ballet West, provides excellence in ballet instruction to students ages 2-20. 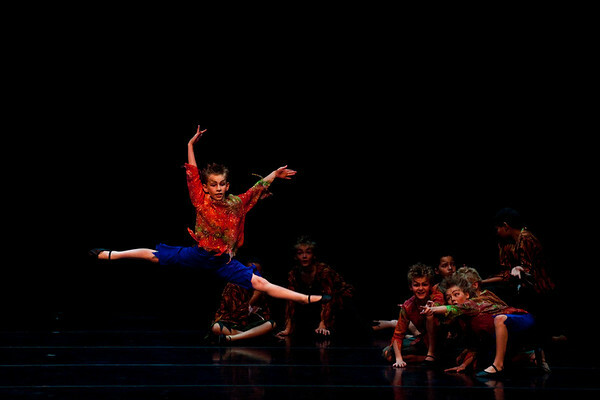 The Academy offers a structured curriculum that includes ballet technique, pointe, variations, character dance, classes for boys, adult classes and more. If you are seeking professional and nurturing instruction from a reputable staff, you’ll find it at the Ballet West Academy. 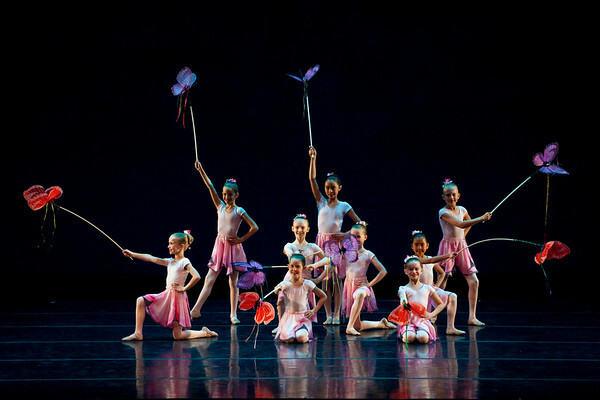 Visit Ballet West for more information about Ballet West and the Ballet West Academy. 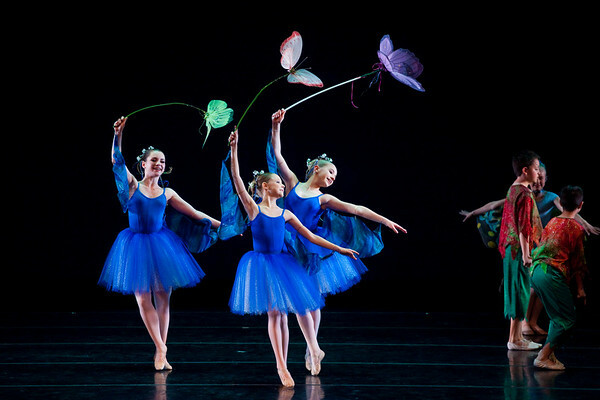 Additional photos of the Ballet West Academy Spring Performance. Photos courtesy of Luke Isley and Ballet West Academy. Your articles are getting better and better. This was DELIGHTFUL! Thank you. only prob I have is that only the very top picture showed up on my screen. Boo. Never to be daunted, I went to lukes site to view many Brilliant pics.